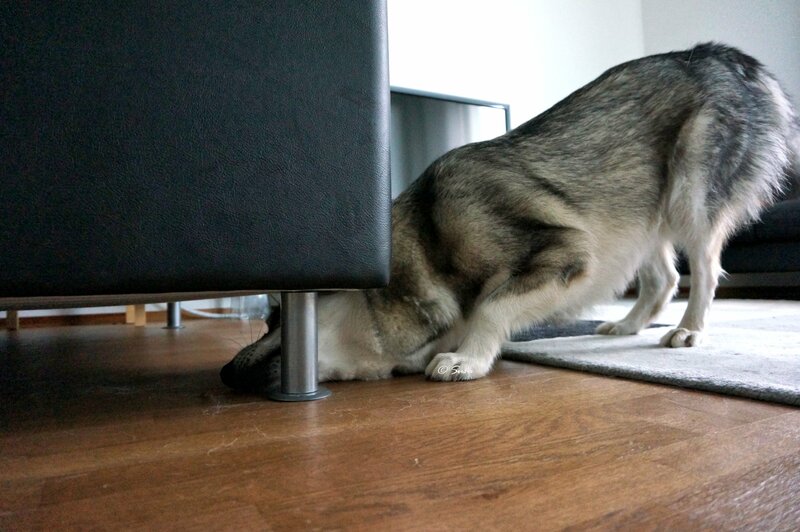 I often hide Miki’s kibble dinner around the apartment. That means about 50 to 100 kibble at one time. Or sometimes I hide just one piece on meat or cheese in the whole apartment. 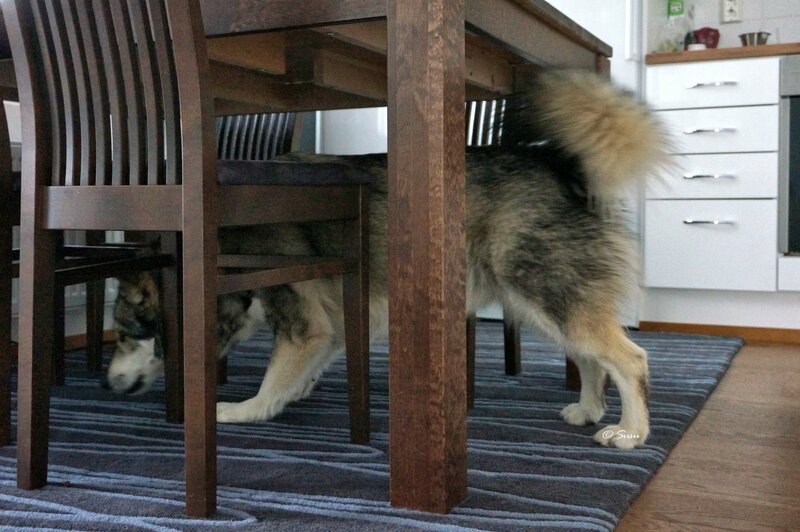 When I do the hiding, I put Miki on the balcony to wait so he doesn’t see where I hide the kibble. 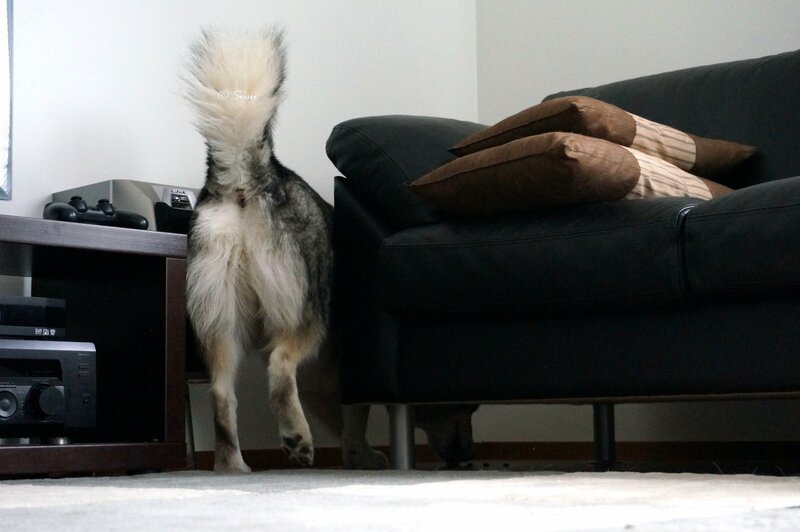 You need to hide the kibble only in those areas you are comfortable for your dog to go. 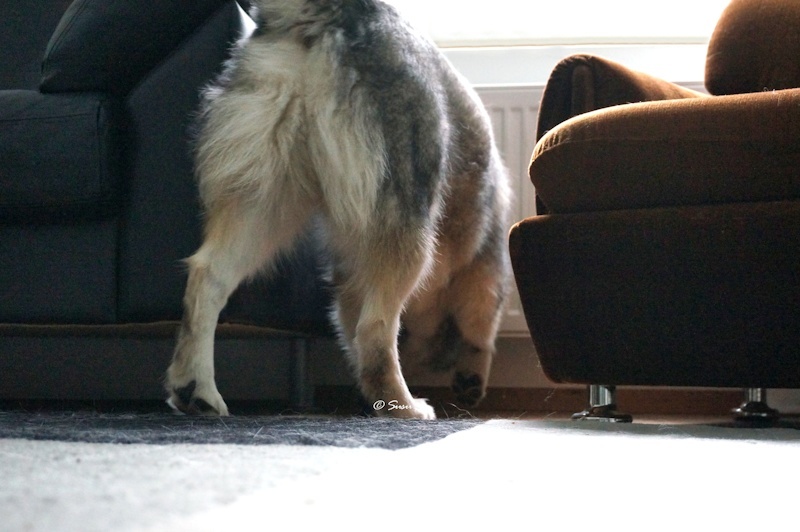 For example Miki doesn’t have a permission to climb on the sofa or any other furniture, so I hide the kibble relatively close to the floorlevel.